The Keck Symposium format involves two sessions of oral presentations followed by poster presentations. Team Iceland celebrates the end of our poster session with a final group photo. The Symposium also provides an opportunity for faculty to catch up and network. Another important thing that happens at the Keck Symposium is the review of copy-edited short contributions. Each student writes an extended abstract of ~2500 words and 5 figures, which is compiled and published in a Symposium Volume. Faculty: PAUL HARNIK, Franklin & Marshall College. ANDREW CONAWAY, The College of Wooster. What: This project will investigate the processes that formed the Salinian arc of central coastal California. 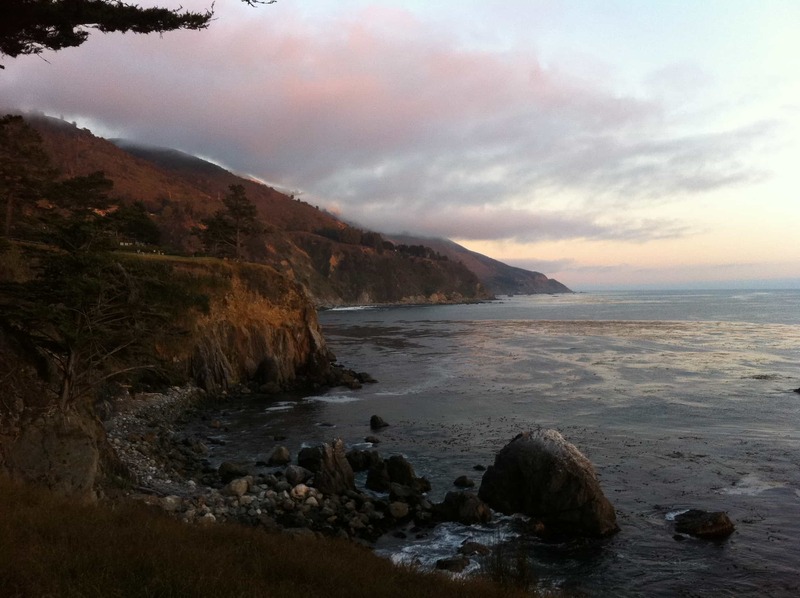 Participants will spend two weeks in the Big Sur region making field measurements and identifying and collecting critical samples for laboratory-based microstructural and geochronologic work. The latter half of this project will be spent preparing samples for analysis and analyzing samples at the University of Arizona and the University of Minnesota. Who: Sarah Brownlee (Wayne State University), Alan Chapman (Macalester College), and 6 students. Magmatic arcs are critical players in the formation and evolution of continental crust, and yet many of the processes involved are poorly understood (e.g., Hildreth and Moorbath, 1988; Rudnick and Gao, 2003; Lackey et al., 2005). The Salinia terrane along the central coast of California represents a nearly complete magmatic arc section, including deep crustal magmatic roots (e.g., Kidder et al., 2003; Chapman et al., 2014). Despite its structural completeness, good exposure, and relatively easy access, Salinia remains understudied. Furthermore, a profound structural relationship is observed at the base of the Salinian arc section: a shallowly dipping shear zone underlain by subduction accretion assemblages of the schist of Sierra de Salinias (SdS; Barth et al., 2003; Kidder and Ducea, 2006). The structural-spatial-temporal relationships between the emplacement of melt-fertile materials (SdS schist) beneath Salinia and arc plutonism are not well constrained. We will focus on two questions: 1) Was the SdS schist emplaced by “cold” or “hot” relamination (e.g., Behn et al., 2011; Hacker et al., 2011)? and 2) What were the petrologic and rheologic consequences of schist emplacement? 1) Distinguish between possible emplacement mechanisms for the SdS schist. 2) Constrain the timing of schist emplacement and arc plutonism. 3) Characterize the petrologic and rheologic consequences of schist emplacement. 4) Determine seismic signature of the SdS schist at depth. Salinia is a NW-trending composite terrane bounded to the east by the San Andreas fault, to the west by the Sur-Nacimiento fault, and to the south by the Big Pine fault (Vedder et al., 1982). These faults juxtapose the Salinian terrane to the west and east with Mesozoic subduction accretion assemblages of the Franciscan complex. The Salinian terrane traveled northward >300 km during the Neogene along the San Andreas fault system (Dickinson et al., 2005; Hall, 1991; Hall and Saleeby, 2013; Huffman, 1972; Jacobson et al., 2011; Matthews, 1976; Page, 1982; Schott and Johnson, 1998; Sharman et al., 2013). Petrologic, isotopic, geochronologic, structural, and sedimentologic evidence places Salinia near the southern end of the Sierra Nevada batholith in Late Cretaceous time (Barbeau et al., 2005; Chapman et al., 2012, 2014; Hall, 1991; Hall and Saleeby, 2013; James, 1992; Kistler and Peterman, 1978; Sharman et al., 2013; Wood and Saleeby, 1997). Salinian, Mojave, and Peninsular Ranges blocks form a contiguous ~ 1500 km long, NNW-trending Mesozoic batholith – the California arc. Magmatism began in the Salinian arc at ca. 93 Ma and continued until ca. 80 Ma (Kistler and Champion, 2001; Mattinson, 1978, 1990), during an episode of high flux magmatism that produced >80% of the California arc (Coleman and Glazner, 1998; DeCelles et al., 2009; Ducea, 2001; Ducea and Barton, 2007). The Salinian arc overlies the Late Cretaceous SdS schist along the Salinas shear zone, a Late Cretaceous low angle normal fault responsible for the exhumation of the schist (Barth et al., 2003; Chapman et al., 2010; 2011; 2013; Kidder and Ducea, 2006; Kidder et al., 2013; Fig. 2). The schist of Sierra de Salinas and related schists of southern California (e.g., Jacobson et al., 2011 and references therein) are Late Cretaceous subduction accretion assemblages deposited in the trench and underplated directly beneath the California arc during an episode of shallow subduction (Ducea et al., 2009). Each student project outlined below will include: 1) mapping, sample collection, and laboratory analysis (geochronology and microstructural data) during the one month summer research period and 2) data interpretation and abstract/poster preparation for the annual Consortium symposium. These students will distinguish between two possible emplacement mechanisms for the SdS schist. 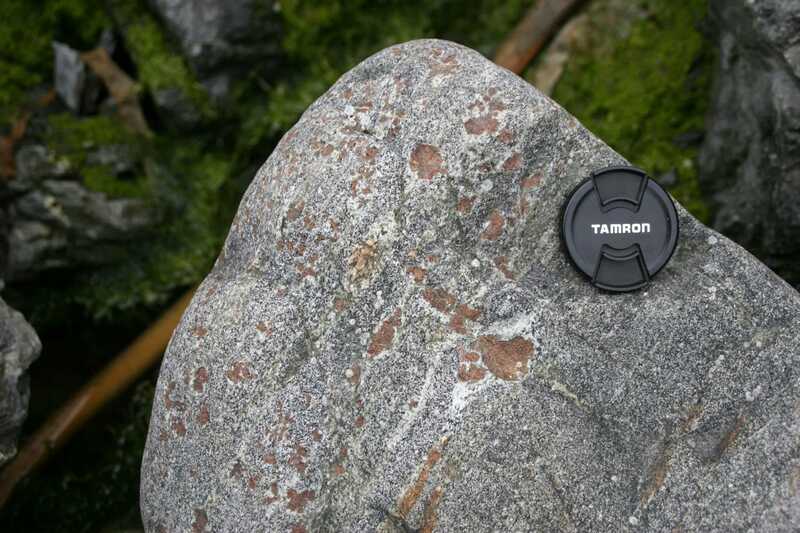 This module requires characterizing the foliation orientations through the SdS schist and surrounding rocks. Our hypothesis is that the schist was emplaced by “cold relamination.” This emplacement mechanism predicts a consistent foliation orientation throughout the SdS schist. It also predicts that the schist foliation will be slightly oblique to the foliation in the overlying material, and have dominantly non-coaxial strain. The alternative emplacement mechanism is “hot relamination,” or diapiric rise. This emplacement mechanism predicts a change in foliation orientation with depth in the schist. The foliation in the upper part of the schist would be nearly parallel to the contact between schist and overlying material, and would have dominantly coaxial deformation. In contrast, the lower part of the schist would have nearly vertical foliation, and potentially demonstrate constrictional strain. To distinguish between these two emplacement mechanisms, the students will do two things: 1) map the foliation trajectories within the SdS schist and surrounding material, and 2) characterize the strain using traditional strain markers and measurements of mineral crystallographic preferred orientations. Our hypothesis is that emplacement of the schist played a key role in initiating arc magmatism. If this is the case, schist emplacement should precede arc magmatism. Only a handful of modern U-Pb zircon ages are available from the CRB (Kidder et al., 2003), the remainder are analyses of multigrain age splits (Mattinson, 1978, 1990; Kistler and Champion, 2001). As a result, the timing of arc plutonism is poorly constrained to a time window of 93-80 Ma. The timing of schist emplacement, metamorphism, and migmatization are also poorly constrained by a small number of detrital zircon ages (144 detrital zircon ages total; Barth et al., 2003; Grove et al., 2003). One student will be responsible for dating ~6 samples from the CRB and the other student will be responsible for dating ~6 samples from the SdS schist. Our hypothesis is that emplacement of the SdS schist beneath the Salinian arc dramatically decreased the strength of the crust. This can be addressed by determining the amount of water released during metamorphic reactions, as well as the composition, and amount of partial melt coming out of the schist. This component will involve sample petrography (point counting and bulk composition estimation using EDS measurements of mineral compositions) and petrologic modeling using PerpleX. Our hypothesis is that the SdS schist has a specific seismic signature that is different than what is expected for the lower crust. Because the schist will have high mica content, we expect it to have high magnitude of seismic anisotropy in both Vp and Vs, and we expect the elastic symmetry to be approximately transversely isotropic, but highly non-elliptical. To address this we will measure mineral crystallographic preferred orientations and calculate average rock elastic tensors for SdS schist and CRB assemblages. We will use these tensors to predict the seismic signature of the Salinian crust and compare our predictions to passive seismic studies currently underway in the area (e.g., Hoots et al., 2014). The project will begin and end in San Francisco, CA with the group members meeting at the airport on June 16 and departing immediately for the University of California, Santa Cruz Big Creek Research Facility. The co-directors and students will stay in the research cabin on the Big Creek research station property during the field component of the project. 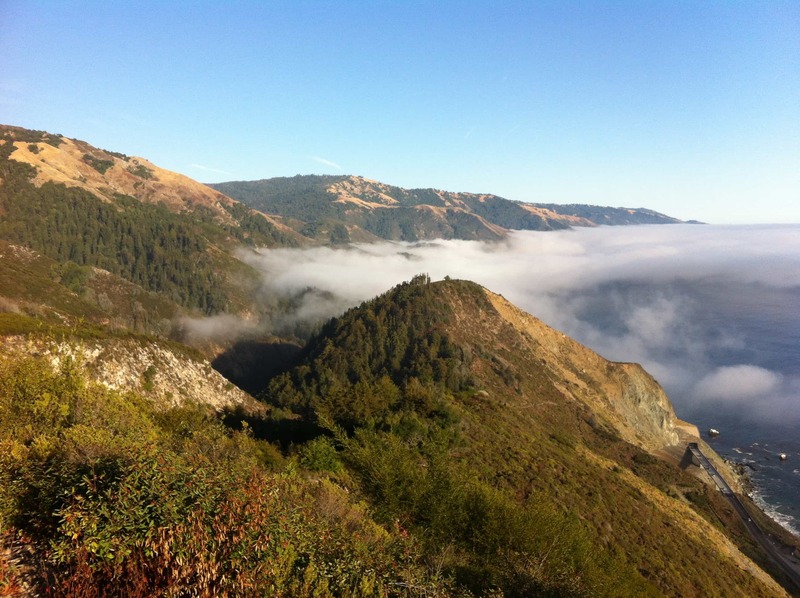 On day two, the research group will discuss the significance of the project and the geology of the Salinian block from the research cabin, which overlooks many important geologic elements of the Santa Lucia Range. In the following days, students and faculty will work in groups of three, tentatively pursuing the research avenues described above, to evaluate where the students’ interests lie and to refine project ideas. Upon finalizing research projects and finishing fieldwork, we will return to Macalester College to regroup and pool maps and notes, to begin separating minerals for geochronology, and to prepare polished thin sections for electron backscatter diffraction (EBSD) work. Samples selected for geochronology will be processed and imaged by SEM prior to laser ablation-inductively coupled plasma-mass spectrometry (LA-ICP-MS) analysis at the University of Arizona. Co-director Chapman and 2-3 students will work for two days in shifts during the University of Arizona session to complete analysis of selected samples. All students involved in this work will assist in reducing the data while at the University of Arizona. All data resulting from this session will be shared with all students involved in the project. Co-director Brownlee and three students will analyze crystallographic preferred orientations of minerals in 12-15 samples of the SdS schist using EBSD facilities available at the University of Minnesota. Samples will be selected to cover a range of compositional and structural heterogeneity within the SdS schist. Each sample will be mapped using EBSD at ~100 μm step size to cover as much of the thin section as possible in a reasonable amount of time. The EBSD mapping is automated, but requires a short setup time, so while maps are running, students can begin working on data processing. EBSD results will be used to determine shear sense using quartz preferred orientations, and to calculate rock elastic tensors using all mineral data combined with single crystal elastic tensors. All EBSD data and results of calculations will be shared with the entire project group. Days 15-25: Making and polishing thin sections, separating out minerals for geochronology, petrologic analyses and characterization, mineral petrography and petrologic modeling. Days 26-30: LA-ICP-MS geochronologic analysis at the University of Arizona, EBSD analyses at the University of Minnesota. The potential projects described above require familiarity with concepts introduced in courses focused on igneous and metamorphic petrology and structural geology. Previous coursework in these areas is encouraged for participation in this project. Experience at a field camp or in a field geology course is also encouraged. Barbeau Jr., D.L., Ducea, M.N., Gehrels, G.E., Kidder, S., Wetmore, P.H., Saleeby, J.B., 2005. U–Pb detrital-zircon geochronology of northern Salinian basement and cover rocks. Geological Society of America Bulletin 117, 466–481. Barth, A.P., Wooden, J.L., Grove, M., Jacobson, C.E., Pedrick, J.N., 2003. U–Pb zircon geochronology of rocks in the Salinas Valley region of California: a reevaluation of the crustal structure and origin of the Salinian Block. Geology 31 (6), 517–520 (10.1130/0091- 7613(2003)031b0517:UZGORIN2.0.CO;2). Behn, M.D., Kelemen, P.B., Hirth, G., Hacker, B.R., Massonne, H.-J., 2011. Diapirs as the source of the sediment signature in arc lavas. Nature Geoscience 4, 641–646. http:// dx.doi.org/10.1038/ngeo1214. Chapman, A.D., Kidder, S., Saleeby, J.B., Ducea, M.N., 2010. Role of extrusion of the Rand and Sierra de Salinas schists in Late Cretaceous extension and rotation of the southern Sierra Nevada and vicinity. Tectonics 29. http://dx.doi.org/10.1029/2009TC002597. Chapman, A.D., Luffi, P., Saleeby, J., Petersen, S., 2011. Metamorphic evolution, partial melting, and rapid exhumation above an ancient flat slab: insights from the San Emigdio Schist, southern California. Journal of Metamorphic Geology 29, 601–626. http://dx.doi.org/10.1111/j.1525- 1314.2011.00932.x. Chapman, A.D., Saleeby, J.B., Wood, D.J., Piasecki, A., Farley, K.A., Kidder, S., Ducea, M.N., 2012. Late Cretaceous gravitational collapse of the southern Sierra Nevada batholith, California. Geosphere 8, 314–341. http://dx.doi.org/10.1130/GES00740.1. Chapman, A.D., Saleeby, J.B., Eiler, J.M., 2013. Slab flattening trigger for isotopic disturbance and magmatic flare-up in the southernmost Sierra Nevada batholith, California. Geology 41 (9), 1007–1010. http://dx.doi.org/10.1130/G34445.1. Chapman, A. D., Ducea, M. N., Kidder, S., and Petrescu, L., 2014, Geochemical constraints on the petrogenesis of the Salinian arc, central California: Implications for the origin of intermediate magmas. Lithos v. 200-201, p. 126-141, doi: 10.1016/j.lithos.2014.04.011. Coleman, D.S., Glazner, A.F., 1998. The Sierra Crest magmatic event: rapid formation of juvenile crust during the Late Cretaceous in California. In: Ernst, W.G., Nelson, C.A. (Eds. ), Integrated Earth and Environmental Evolution of the Southwestern United States: The Clarence A. Hall, Jr. Volume. Bellwether, Columbia, MD, pp. 253–272. DeCelles, P., Ducea, M., Kapp, P., Zandt, G., 2009. Cyclicity in cordilleran orogenic systems. Nature Geoscience 2. http://dx.doi.org/10.1038/ngeo469. Dickinson, W.R., Ducea, M., Rosenberg, L.I., Greene, H.G., Graham, S.A., Clark, J.C., Weber, G.E., Kidder, S., Ernst, G.W., Brabb, E.E., 2005. Net dextral slip, Neogene San Gregorio–Hosgri fault zone, coastal California: geologic evidence and tectonic implications. Geological Society of America, Special Paper 391 (43 pp.). Ducea, M.N., Barton, M.D., 2007. Igniting flare-up events in Cordilleran arcs. Geology 35, 1047–1050. Ducea, M.N., Kidder, S., Zandt, G., 2003. Arc composition at mid-crustal depths; insights from the Coast Ridge Belt, Santa Lucia Mountains, California. Geophysical Research Letters 30. http://dx.doi.org/10.1029/2002GL016297. Ducea, M.N., Kidder, S., Chelsey, J.T., Saleeby, J.B., 2009. Tectonic underplating of trench sediments beneath magmatic arcs, the central California example. International Geology Review 51, 1–26. http://dx.doi.org/10.1080/00206810802602767. Ducea, M., 2001. The California Arc; thick granitic batholiths, eclogitic residues, lithospheric-scale thrusting, and magmatic flare-ups. GSA Today 11, 4–10. Hacker, B.R., Kelemen, P.B., Behn, M.D., 2011. Differentiation of the continental crust by relamination. Earth and Planetary Science Letters 307, 501–516. Hall Jr., C.A., 1991. Geology of the Point Sur-Lopez Point region, Coast Ranges, California; a part of the Southern California Allochthon: Boulder, CO, United States. Geological Society of America, Special Paper 266, 1–40. Hall, C.A., Saleeby, J., 2013. Salinia revisited: a crystalline nappe sequence lying above the Nacimiento fault and dispersed along the San Andreas fault system, central California. International Geology Review 55 (13), 1575–1615. http://dx.doi.org/10.1080/ 00206814.2013.825141. Hildreth, W., Moorbath, S., 1988. Crustal contributions to arc magmatism in the Andes of central Chile. Contributions to Mineralogy and Petrology 98, 455–489. Hoots, C. R., B. Schmandt, R. W. Clayton, S. L. Dougherty, and S. Hansen (2014), Imaging the Isabella anomaly in southern California: Surface wave tomography, receiver function analysis, and basin analysis, Abstract S23C-4532 presented at 2014 Fall Meeting, AGU, San Francisco, CA. Huffman, O.F., 1972. Lateral displacement of upper Miocene rocks and the Neogene histo- ry of offset along the San Andreas fault in central California. Geological Society of America Bulletin 83, 2913–2946. http://dx.doi.org/10.1130/0016-7606(1972)83 [2913:LDOUMR]2.0.CO;2. Jacobson, C.E., Grove, M., Pedrick, J.N., Barth, A.P., Marsaglia, K.M., Gehrels, G.E., Nourse, J.A., 2011. Late Cretaceous-early Cenozoic tectonic evolution of the southern California margin inferred from provenance of trench and forearc sediments. Geological Society of America Bulletin 123 (3–4), 485–506. http://dx.doi.org/10.1130/B30238.1. James, E.W., 1992. Cretaceous metamorphism and plutonism in the Santa Cruz Moun- tains, Salinian block, California, and correlation with the southernmost Sierra Nevada. Geological Society of America Bulletin 104, 1326–1339. http://dx.doi.org/10.1130/ 0016- 7606(1992)104b1326:CMAPITN2.3.CO;2. Kidder, S., Ducea, M.N., 2006. High temperatures and inverted metamorphism in the schist of Sierra de Salinas, California. Earth and Planetary Science Letters 241, 422–437. http://dx.doi.org/10.1016/j.epsl.2005.11.037. Kidder, S., Ducea, M., Gehrels, G.E., Patchett, P.J., Vervoort, J., 2003. Tectonic and magmatic development of the Salinian Coast Ridge Belt, California. Tectonics 22. http://dx.doi. org/10.1029/2002TC001409. Kidder, S.B., Herman, F., Saleeby, J., Avouac, J.-P., Ducea, M.N., Chapman, A.D., 2013. Shear heating not a cause of inverted metamorphism. Geology 41, 899–902. http://dx.doi.org/10.1130/G34289.1. Kistler, R.W., Champion, D.E., 2001. Rb–Sr whole-rock and mineral ages, K–Ar, 40Ar/39Ar, and U– Pb mineral ages, and strontium, lead, neodymium, and oxygen isotopic compositions for granitic rocks from the Salinian Composite Terrane, California. U.S. Geological Survey Open-File Report 01–453 (84 pp.). Kistler, R.W., Peterman, Z.E., 1978. Reconstruction of crustal blocks of California on the basis of initial strontium isotopic compositions of Mesozoic granitic rocks. United States Geological Survey Professional Paper 1071 (17 pp.). Lackey, J. S., Valley, J. W., and Saleeby, J. B., 2005, Supracrustal input to magmas in the deep crust of Sierra Nevada Batholith; evidence from high-d18O zircon. Earth and Planetary Science Letters v. 235, p. 315-330. Matthews III, V., 1976. Correlation of Pinnacles and Neenach volcanic fields and their bearing on San Andreas fault problem. The American Association of Petroleum Geologists Bulletin 60, 2128–2141. Mattinson, J.M., 1978. Age, origin, and thermal histories of some plutonic rocks from the Salinian block of California. Contributions to Mineralogy and Petrology 67, 233–345. Mattinson, J.M., 1990. Petrogenesis and evolution of the Salinian magmatic arc. In: Anderson, J.L. (Ed. ), The nature and origin of Cordilleran magmatism. Geological Society of America Memoir, 174, pp. 237–250. Page, B.M., 1982. Migration of Salinian composite block, California, and disappearance of fragments. American Journal of Science 282, 1694–1734. Rudnick, R.L., Gao, S., 2003, Composition of the continental crust. In: Holland, H.D., Turekian, K.K., Rudnick, R.L. (Eds. ), The Crust. Treatise on Geochemistry 3. Elsevier-Pergamon, Oxford, pp. 1– 64. Schott, R.C., Johnson, C.M., 1998. Sedimentary record of the Late Cretaceous thrusting and collapse of the Salinia–Mojave magmatic arc. Geology 26, 327–330. http://dx.doi.org/ 10.1130/0091- 7613(1998) 026b0327:SROTLCN2.3.CO;2. Sharman, G.R., Graham, S.A., Grove, M., Hourigan, J.K., 2013. A reappraisal of the early slip history of the San Andreas fault, central California, USA. Geology 41 (no. 7), 727–730. http://dx.doi.org/10.1130/G34214.1. Vedder, J.G., Howell, D.G., McLean, H., 1982. Stratigraphy, sedimentation, and tectonic accretion of exotic terranes, southern Coast Ranges, California. AAPG Memoir 34, 471–496. Wood, D.J., Saleeby, J.B., 1997. Late Cretaceous–Paleocene extensional collapse and disaggregation of the southernmost Sierra Nevada Batholith. International Geology Review 39 (11), 973–1009. http://dx.doi.org/10.1080/00206819709465314. 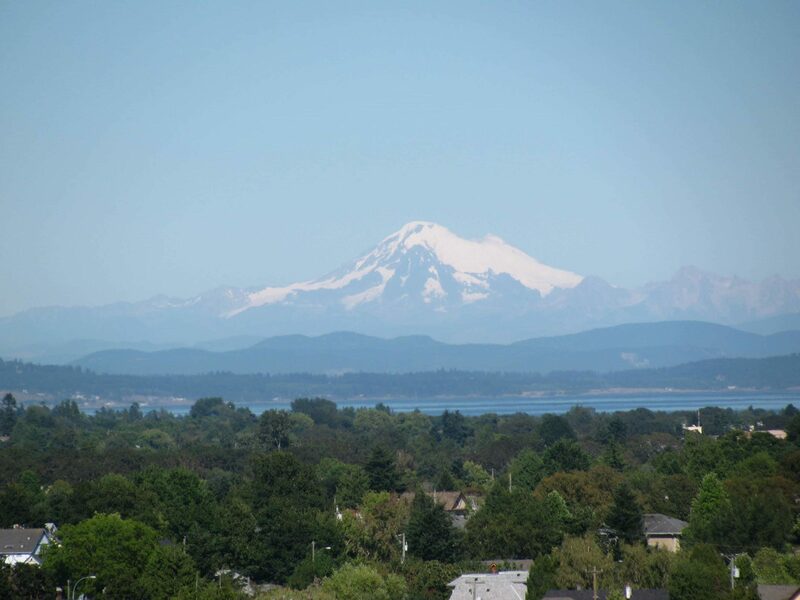 What: This project will evaluate the potential activity of the Leech River and San Juan Fault systems, two major crustal faults that underlie the capital city of Victoria, British Columbia on Vancouver Island, Canada. Current scientific thought suggests that these faults were last active in the Eocene. However, there are several lines of evidence to suggest that these faults ruptured throughout the late Quaternary, and therefore may have the propensity to rupture in the future. 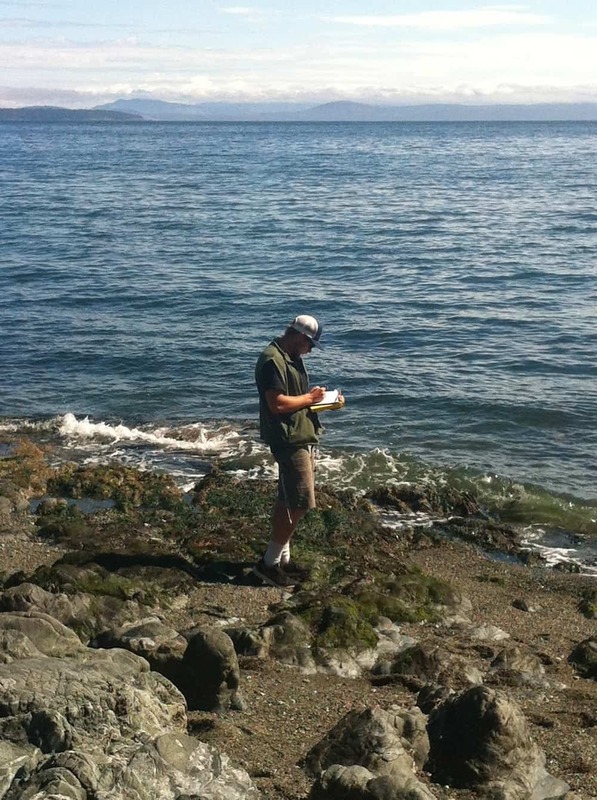 Student projects are designed to evaluate the slip history of these important structures on Vancouver Island, British Columbia, based on structural, stratigraphic, geomorphic and remote sensing work. The results from this work will have important implications for seismic hazards in British Columbia. Who: Drs. Kristin Morell and Tom Gardner, 4 students. It is well known that the Pacific northwest region of Canada is at risk for large subduction zone earthquakes. Because subduction zone megathrusts produce the largest and most damaging earthquakes, significant attention has been focused recently in improving our understanding of the seismic cycle associated with the Cascadia megathrust fault in Canada (e.g. Dragert , 2001; Goldfinger et al., 2003; Wang et al., 2013). This improved knowledge has led to significant advancements in the identification and mitigation of seismic risk for the populated regions of the Pacific Northwest (Halchuk et al., 2015), which include the Canadian cities of Vancouver and Victoria, British Columbia. While the seismic history of the Cascadia megathrust is reasonably well understood, the active crustal faults that must overlie it remain poorly identified, especially in western Canada where no active crustal faults have been formally recognized. Student projects will involve geologic mapping, kinematic analyses, and stratigraphic work along a ∼45 km long region where two important crustal fault systems (the San Juan and Leech River fault systems), intersect the Pacific coast in British Columbia. 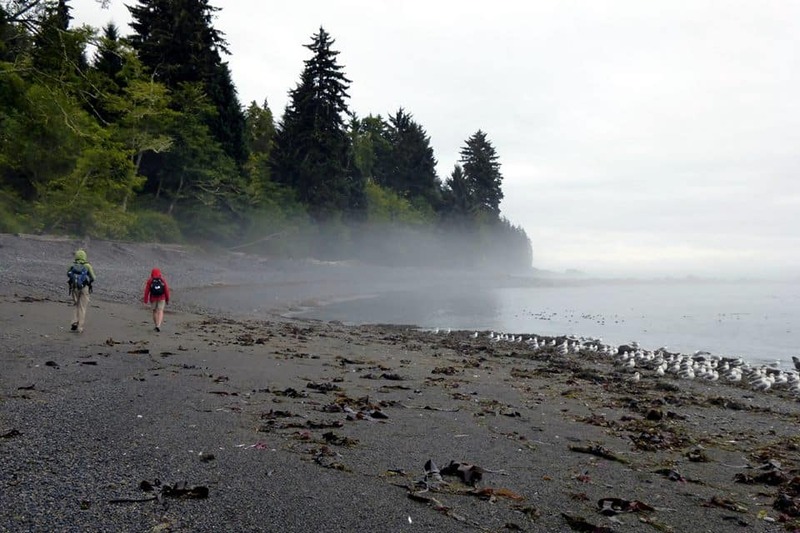 Student projects will collectively evaluate the overall slip history of these important structures on Vancouver Island. Presently, the Juan de Fuca plate subducts beneath Vancouver Island at a rate of approximately 45 mm/yr (DeMets et al., 2010). Much of this convergence is taken up on the subduction zone thrust, which is currently locked along its shallow portion and is therefore considered capable of producing great earthquakes (McCaff ey et al., 2013). The nature of seismicity within the crust above the megathrust is not well defined. Historical records show that large magnitude > 7 crustal earthquakes have occurred near the center of Vancouver Island as recently as 1946 (Rogers and Hasegawa, 1978). But, the fault that ruptured during this event is not yet known, and no active crustal faults have been identified on Vancouver Island. We have identified several places where post-glacial Quaternary sediments intersect the San Juan and Leech River Faults. These sediments will be used to constrain the timing of recent faulting. Along the San Juan Fault trace, glacial-marine sediments exposed in a quarry and now at ∼ 100 m elevation are highly deformed, and this deformation may be related to recent slip on the fault. Along the Leech River Fault, we will examine a sequence of glacio-fluvial sequences that are preserved in an alluviated stream on the north side of a shutter ridge, and may also be offset by the fault at this location. Students will map the distribution, age, and stratigraphic relationships between post-glacial sediments to test if they have been offset recently by the Leech River-San Juan Fault systems. Stratigraphic sections of key deposits will be made, along with regional surficial maps of these units. We will collect radiocarbon and/or OSL dates where appropriate. If no abundant material for radiocarbon dating is found in the field, we will collect bulk sediment samples that will be sieved and picked for small carbon fragments. Fault strands that displace Quaternary sediments will be surveyed in the field. This overall project could comprise 2-3 student projects. Students will produce surficial maps of their field areas based on airphoto or lidar data in ArcMap. Fault strands measured in the field will also be mapped along strike and in map view using either airphoto and/or lidar data. The late Eocene to Oligocene marine sediments of the Carmanah Group lie across both the Leech River and San Juan Faults, in unconformable contact with older bedrock units. The orientation and distribution of this unit has not been mapped in detail, but because of its age it should record any post-Eocene tectonic movements across these faults. Preliminary data suggest that the elevation of the unconformity at the base of the Carmanah Group lies at different elevations across potentially active fault strands. In order to constrain Neogene tectonism, a student will analyze the thickness, depth to unconformity and structural orientation of the Carmanah Group sediments across the Port Renfrew region. In a GIS platform, the student will produce a structure-contour map and a detailed geologic map showing his/her bedding dip and fault orientation data of the Carmanah Group sediments. The production of the map will be aided by airphoto and/or lidar mapping of lineaments that could produce the observed bedding orientations. One potential student project will assess the pre-Quaternary slip history of the San Juan Fault by analysis of slickenfibers and other kinematic indicators that are preserved along this fault system. We will take advantage of a quarry that exposes a large portion of the San Juan Fault, where there are numerous mesoscale faults with slickenlines. A student will collect fault population data within the San Juan fault quarry by measuring the orientation of fault planes and slickenlines on > 50 mesoscale faults. We will also spend some time in the field looking for additional exposures of the San Juan Fault along strike, as there are several logging roads that we have yet to visit that should offer fresh exposures. We will collect additional fault population data where we field additional exposures of the fault. Oriented samples for thin sections could also be collected in the field where appropriate, in order to determine kinematics. The fall semester will be spent analyzing the field data on stereonets in order to determine the kinematics of the fault system (e.g. Marrett and Allmendinger , 1990) and creating maps of this overall fault system in map view based on air photo and lidar mapping. If collected, thin sections will be analyzed for fault kinematics. Students will fly into Victoria and drive to Port Renfrew, on the Pacific coast. 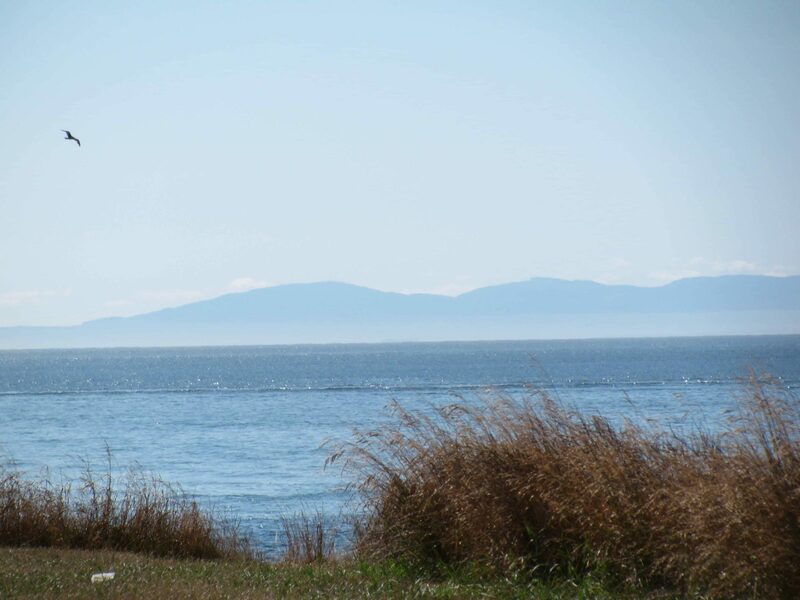 Port Renfrew is a ∼ 2 hr drive from Victoria and is within kilometers of the field sites. We will stay in two cottages, each with four beds, near the town of Port Renfrew on the Pacific coast (http://www.portrenfrewcottage.com/). Field work may include hiking up rivers, trails and along beaches, as well as tromping through the rain forest. Students should be prepared to work all day, and be prepared for variable weather. It may be cool at night and relatively hot during the day. Rain is not uncommon. Cell phone coverage is not reliable in this region. We will prepare our own meals at the cabins. Recommended courses include Structural Geology, Geomorphology and/or Sedimentary geology. Some familiarity with GIS is also desirable. DeMets, C., R. G. Gordon, and D. F. Argus (2010), Geologically current plate motions, Geophysical Journal International, 181 (1), 1–80, doi:10.1111/j.1365-246X.2009.04491.x. Dragert, H. (2001), A Silent Slip Event on the Deeper Cascadia Subduction Interface, Science, 292 (5521), 1525–1528. Goldfinger, C., C. H. Nelson, and J. E. Johnson (2003), Holocene earthquake records from the Cascadia subduction zone and northern San Andreas fault based on precise dating of offshore turbidites, Annual Review of Earth and Planetary Sciences, 31 (1), 555–577. Halchuk, S., T. Allen, J. Adams, and G. Rogers (2015), Fifth generation seismic hazard model input fi as proposed to produce values for the 2015 national building code of Canada, Geological Survey of Canada Open File 7576, doi:10.4095/293907. James, T., J. Bednarski, G. Rogers, and R. Currie (2010), LIDAR and digital aerial imagery of the Leech River Fault Zone and coastal regions from Sombrio Point to Ten Mile Point, southern Vancouver Island, British Columbia, Geological Survey of Canada, Open File 6211, doi:10.4095/285486. Marrett, R., and R. W. Allmendinger (1990), Kinematic analysis of fault-slip data, Journal of Structural Geology, 12 (8), 973–986. McCaffrey, R., R. W. King, S. J. Payne, and M. Lancaster (2013), Active tectonics of northwestern U.S. inferred from GPS-derived surface velocities, Journal of Geophysical Research: Solid Earth, 118, 709–721, doi:10.1029/2012JB009473. Rogers, G. C., and H. S. Hasegawa (1978), A second look at the British Columbia earthquake of June 23, 1946, Bulletin of the Seismological Society of America, 68 (3), 653–676. Witter, C. (2013), Heterogeneous rupture in the great Cascadia earthquake of 1700 inferred from coastal subsidence estimates, Journal of Geophysical Research: Solid Earth, 118 (5), 2460–2473. What: This Keck project will investigate the role of beaver in the sediment and carbon budgets of small catchments (<10 km2) in the central Adirondack Mountains of New York State. Working within Huntingon Wildlife Forest (managed by SUNY-ESF), our geomorphic perspective will supplement past and ongoing ecological research, and it will provide insight into natural upland erosion rates within the upper Hudson River watershed, an important resource for all of eastern New York. Where: The Newcomb Campus of SUNY-ESF and Huntington Wildlife Forest are located just west of Newcomb, NY, in the central Adirondacks. SUNY-ESF has managed this field station since 1932, and some of their Adirondack Long-term Ecological Monitoring Program (ALTEMP) projects have been active since the 1930s. The topography surrounding HWF is somewhat subdued in comparison to the adjacent High Peaks; maximum elevations are closer to 800 m near Newcomb. 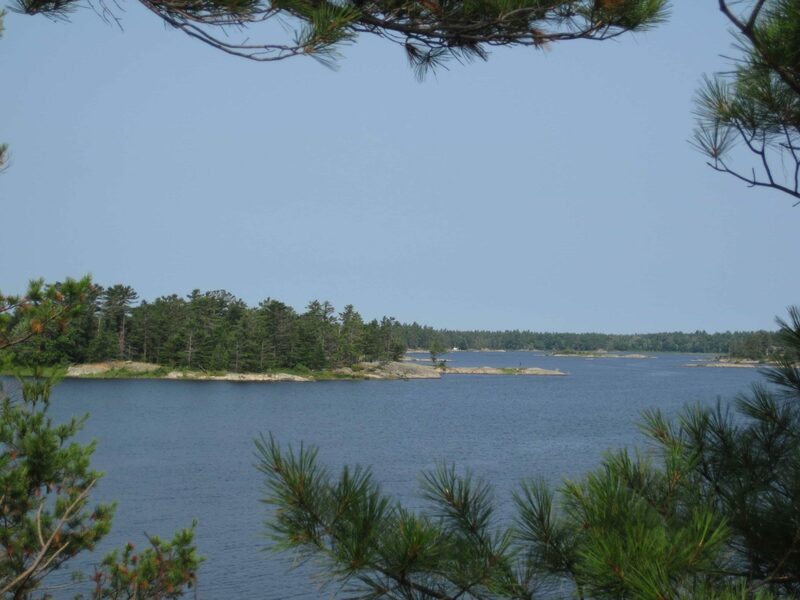 HWF contains five lakes, ranging in size from 38 to 217 hectares, and they are all within the upper Hudson River Watershed. Mean annual temperature is 4.4° C, and mean annual precipitation is 1010 mm (please visit http://www.esf.edu/aec/facilities/hwf.htm for further information about HWF and the Adirondack Ecological Center at SUNY-ESF’s Newcomb campus). Project Overview and Goals: The return of beaver (Castor canadensis) to ecosystems throughout North America is profoundly affecting regional hydrology, ecology, and geomorphology. Beaver are cited as ‘ecosystem engineers’ and ‘geomorphic agents’ for their ability to enter a landscape and quickly adjust how water and sediment are routed through fluvial systems (Naiman, 1995). Several recent studies have investigated the impact of beaver on the geomorphology and hydrology of landscapes of the western United States (e.g., Persico and Meyer, 2009; Wohl, 2013; Levine and Meyer, 2014), but few have focused on the abundant beaver of eastern North America. This Keck project will investigate the role of beaver in the sediment and carbon budgets of small catchments (<10 km2) in the central Adirondack Mountains of New York State. We will leverage several decades of ecological monitoring of beaver colonies within Huntington Wildlife Forest (HWF), a 60 km2 parcel managed by the State University of New York – College of Environmental Science and Forestry (SUNY-ESF), to provide immediate interdisciplinary relevance for this work. Our geomorphic perspective will supplement past and ongoing ecological research at HWF, and it will provide insight into natural upland erosion rates within the upper Hudson River watershed, an important resource for all of eastern New York. Students will survey and map reach-scale fluvial geomorphology and sediment distribution. We will synthesize these reach-scale data into catchment-scale sediment and carbon budgets that include material trapped in active and abandoned beaver ponds. Multiple, short (~1 m) sediment cores in beaver ponds and small lakes downstream from our study catchments will allow analysis of how sedimentation rates change down system both in the presence and absence of active beaver colonies. Once back from the field, processing our data and freely available time series of remotely sensed data (e.g., Landsat) within Geographic Information Systems (GIS) will yield a preliminary datset of source-to-sink sediment dynamics for small, upland catchments in Huntington Forest. Geologic Background: Our study area is located along the southern edge of the High Peaks region of the Adirondack Mountains, an area with maximum elevations greater than 1500 meters, and local relief exceeding 600 meters (Figure 1). Much of the region is underlain by high-grade Precambrian metamorphic rocks with pockets of less metamorphosed sedimentary rocks outside the High Peaks. During the last glacial period, the Adirondacks were overidden by the Laurentide ice sheet, stripping hillslope soils and locally depositing glacial till. As a result, upland soils can be quite thin, having developed from underlying bedrock over just the past few tens of thousands of years. The Adirondacks are undeniably an ancient mountain range, but there is some debate regarding how they have maintained their rugged relief in spite of their antiquity. In addition to localized uplift from isostatic rebound following the retreat of the Laurentide ice sheet, there is geodetic evidence for recent, ongoing uplift of the eastern Adirondacks (Isachsen, 1975), although the driving force behind this uplift is uncertain. Prior to European contact, the beaver population in North America is estimated at between 60-400 million (Naiman et al., 1988; Butler 1995). Current estimates of beaver population put their number at 6-12 million, spread throughout most of their original geographic range (Naiman et al., 1988). Early studies of beaver’s impact on landscapes’ hydrology and geomorphology suggested that every water body in New York State must have been affected by beaver at some point prior to beaver extirpation by European settlers (Ruedemann and Schoonmaker, 1938). Ruedemann and Schoonmaker take their inference to the extreme in suggesting that nearly all valley fill in the Adirondacks is the result of intermittent beaver damming over the past 25,000 years. An analysis of sedimentation rates in beaver ponds within Glacier National Park in Montana found beaver pond infilling rates of 1 m/yr following dam construction, which is far faster than other published rates for that region (Butler and Malanson, 1995). However, in Yellowstone National Park, total aggradation along streams that is attributable to beaver activity is commonly <2 m (Persico and Meyer, 2009), quite a different story than the thick beaver dam deposits proposed by Ruedemann and Schoonmaker for New York. Regardless of total sediment accumulation behind beaver dams, the long-term legacy of beaver ponds as sediment and carbon sinks is intimately tied to how frequently beaver dams fail and how pond sediments are eroded following dam failure (Levine and Meyer, 2014). In landscapes of the American West where over half of postglacial sediment in river valleys is associated with beaver activity, beaver meadows disproportianately serve as carbon sinks within those drainage networks (Polvi and Wohl, 2012; Wohl, 2013). Much of the recent work investigating the role of beaver in landscapes’ sediment and carbon budgets has focused on beaver in the American West. This Keck project provides a new focus and perspective on similar processes in the Adirondack Mountains of the eastern United States. Potential Student Projects: The four person research team for this Keck project will work together to collect data throughout our four week field expedition. Each task outlined below will require teamwork, so each day we will prioritize some subset of our broader goals to move the project forward. Some data that we collect will be relevant to more than one student’s project (and more than one working hypothesis), but, for clarity, our approach is divided into three projects below. Inevitably, these ideas/goals will evolve in the field. 1. Reach-scale fluvial geomorphology – Assess the impact of beaver on longitudinal profiles of upland streams, channel bed cover, and source-to-sink grain size distribution. How lasting is the impact of beaver on upland fluvial geomorphology? 2. Catchment-scale sediment budgets – Infer upland sediment production rates, map points of sediment storage throughout fluvial systems, quantify the volume of sediment stored in beaver ponds/meadows, and infer how quickly sediment is remobilized following the abandonment of beaver ponds. How significantly do beaver attenuate the transport of sediment in the headwaters of the Hudson River? 3. Catchment-scale carbon budgets – Quantify how much organic matter is trapped in beaver deposits within upland catchments in the Adirondacks and develop a carbon budget for catchments of interest using remote sensing and GIS. How significant a carbon sink are beaver ponds and meadows in the Adirondacks? Logistics/Field Conditions: We will conduct this project entirely within the facilities of SUNY-ESF’s Newcomb campus. Our group will rendezvous at Syracuse Hancock International Airport (SYR), pick up our rental van, and drive ~150 miles to Newcomb, NY. Meal preparation is handled entirely by SUNY-ESF staff, which simplifies daily logistics. 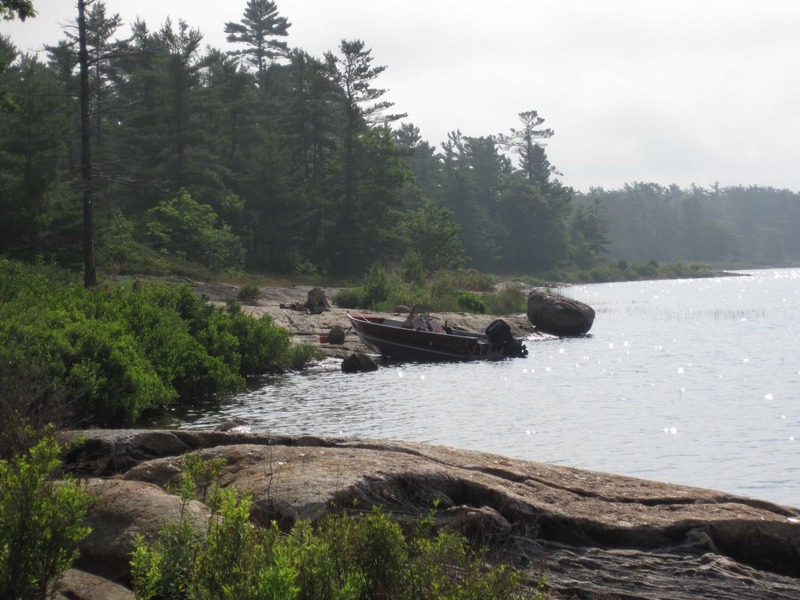 Each day will require some combination of driving, canoeing, and hiking to field sites within HWF. Post-processing of each day’s data will take place back at our bunkhouses. After the four weeks of field work, we will mail sample sets necessary for each student’s continuing research to their home institution. Jungers will continue to advise the students throughout the following academic year with the aid of a mentor at their school. We will be outside regardless of the weather, so be prepared for the potential of soggy field work. Much of our time will be spent hiking along streams and plodding through beaver ponds/meadows – your feet will get wet! On some days, we’ll need to access sites via canoe, so count on at least a bit of time in small boats. Swimming is not required, but comfort around water is important. The Adirondacks are not considered a hotspot for Lyme Disease, but we will all need to take necessary precautions with insect repellent to stay safe and comfortable. Recommended Courses: Some mix of the following subjects would enhance your engagement with this project. A bit of background in geomorphology and GIS would be the most useful. Butler, D. R. (1995). Zoogeomorphology: animals as geomorphic agents. Cambridge University Press. Butler, D. R., & Malanson, G. P. (1995). Sedimentation rates and patterns in beaver ponds in a mountain environment. Geomorphology, 13(1), 255-269. Isachsen, Y. W. (1975). Possible evidence for contemporary doming of the Adirondack Mountains, New York, and suggested implications for regional tectonics and seismicity. Tectonophysics, 29(1), 169-181. Levine, R., & Meyer, G. A. (2014). Beaver dams and channel sediment dynamics on Odell Creek, Centennial Valley, Montana, USA. Geomorphology, 205, 51-64. Naiman, R. J., Johnston, C. A., & Kelley, J. C. (1988). Alteration of North American streams by beaver. BioScience, 753-762. Polvi, L. E., & Wohl, E. (2012). The beaver meadow complex revisited–the role of beavers in post‐glacial floodplain development. Earth Surface Processes and Landforms, 37(3), 332-346. Ruedemann, R., & Schoonmaker, W. J. (1938). Beaver-dams as geologic agents. Science, 88(2292), 523-525. Wohl, E. (2013). Landscape‐scale carbon storage associated with beaver dams. Geophysical research letters, 40(14), 3631-3636. What: Human activities have enhanced nutrient delivery to coastal ecosystems in the northern Gulf of Mexico which has led to extensive eutrophication. By comparing populations living in the region today with the remains of historical populations preserved in marine sediments, we can determine the impacts of anthropogenic eutrophication on marine communities. 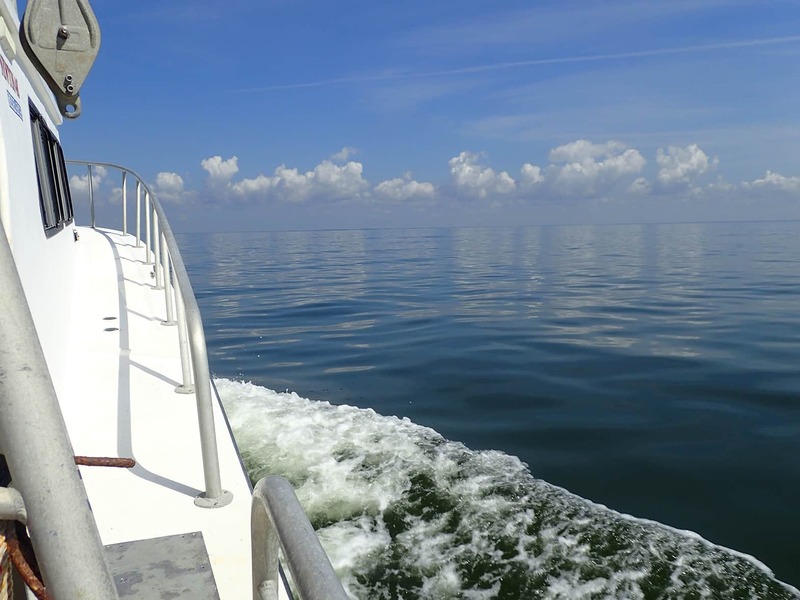 Between mid-June and mid-July, students will collect live-dead samples offshore Alabama and Louisiana and engage in lab work at Franklin and Marshall College. 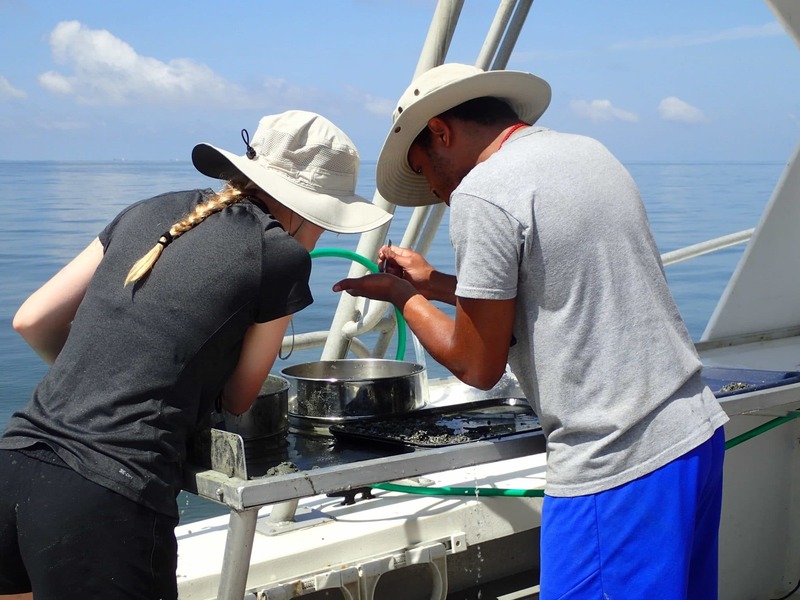 Student research projects will focus on live-dead and taphonomic comparisons of marine mollusks along a nutrient gradient extending from the Mississippi River east to the nutrient-poor west Florida shelf. These projects will help to establish historical baselines for the diversity, abundance, and ecology of mollusks in subtidal habitats prior to the onset of industrial agriculture and commercial fishing. Project Overview: The Mississippi River watershed drains 40% of the continental United States and is home to approximately 70 million people. The river’s delivery of nutrients has supported tremendous primary production in the marine ecosystems of the northern Gulf of Mexico for millennia; evident today by the network of offshore oil and gas wells that mine the region’s hydrocarbon-rich sedimentary deposits. Human activities have enhanced nutrient delivery to coastal ecosystems in the northern Gulf through farming, urbanization, and surface run-off and, as on land, these additions of nitrogen and phosphorous have spurred primary production. Phytoplankton blooms in the northern Gulf have led to the growth of one of the largest oxygen-limited zones in the world. How has anthropogenic eutrophication affected the marine species that live in the northern Gulf of Mexico? Answering this question requires a historical perspective, yet long-term biodiversity surveys in the oceans are rare. Live-dead analysis – the comparison of living populations with historical populations represented by dead remains – has emerged as a valuable tool for evaluating historical changes in marine ecosystems that began before the onset of scientific monitoring. Participants in this Keck project will engage in field- and lab-based live-dead studies in the Gulf of Mexico. During summer 2016, we will head offshore Cocodrie, Louisiana and Dauphin Island, Alabama to sample the shells of live and dead marine mollusks from sediments on the continental shelf. These samples, along with collections from Alabama and Florida, will span a nutrient gradient extending from the nutrient-rich Mississippi delta east to the nutrient-poor west Florida shelf. In the lab at Franklin and Marshall College, we will use paleontological methods to gather historical data on the abundance, diversity, and ecology of mollusks preserved in subfossil death assemblages. These baseline data will then be compared with data collected from present-day populations at these same sites. The northern Gulf of Mexico has played a central role in the growing awareness of current threats to marine biodiversity and these projects have the potential to offer critical perspectives on the impacts of human activities on coastal ecosystems. Potential Student Projects: All students will participate in the collection and processing of live-dead samples in the field and lab. These samples, and those collected previously by the project director, will be analyzed by students during the 2016-17 academic year. Student research projects will be refined over the summer based on individual interests and based on what is recovered from our new field samples. Student(s) will assess variation in larval shell size in different species of mollusks using scanning electron microscopy to test the hypothesis that larval shells today are smaller than those of historical populations. Larval shell size is positively correlated with egg size and life history theory predicts that under high nutrient conditions individuals that produce more numerous, smaller eggs will leave behind more offspring. Student(s) will gather body size data to test the hypothesis that live populations consist of smaller individuals on average than historical populations in regions affected by low oxygen, high nutrient (hypoxic) conditions. Student(s) will also have the opportunity to develop educational materials for high school Earth science and biology classrooms that guide high school classes through the process of collecting and analyzing body size data for Gulf mollusks. Student(s) will collect and compare molluscan diversity and abundance data to test the hypothesis that live-dead differences are greatest in regions affected by anthropogenic eutrophication. Student(s) will collect data on the condition of dead specimens to test the hypothesis that preservational quality declines along a clastic-to-carbonate gradient as has been observed previously in other regions. Logistics: The project will begin and conclude in Lancaster, Pennsylvania at Franklin and Marshall College. The first week will be spent in the lab preparing for fieldwork and collecting data from existing live-dead samples. Week 2 and the start of week 3 will be spent in Alabama and Louisiana collecting new samples aboard research vessels chartered from two marine labs. Offshore fieldwork will involve long days (8 to 12 hours) on the water. Samples will be collected throughout the day using a sediment grab sampler and/or a box corer. These pieces of equipment are provided by each marine lab and will be deployed by research technicians from the marine lab. Students will be involved in documenting sediment samples, wet-sieving sediments, and sorting specimens of live and dead mollusks > 2mm for later study. We will rotate through these activities throughout the day to ensure that everyone has the opportunity to develop their skills and also to minimize motion sickness (which can be an issue when sorting small specimens on a rocking boat). We will sleep onshore each night. The remainder of week 3 and all of week 4 will be spent at Franklin and Marshall College processing live-dead samples, developing data collection protocols, collecting and sharing preliminary data, and developing independent research projects which will be continued through the 2016-17 academic year. Field conditions: Offshore fieldwork is tremendously exciting and also quite challenging. Ocean conditions are unpredictable and transit times from the harbor to offshore sampling stations may be lengthy which necessitates long field days as well as flexible and positive attitudes among all project participants. 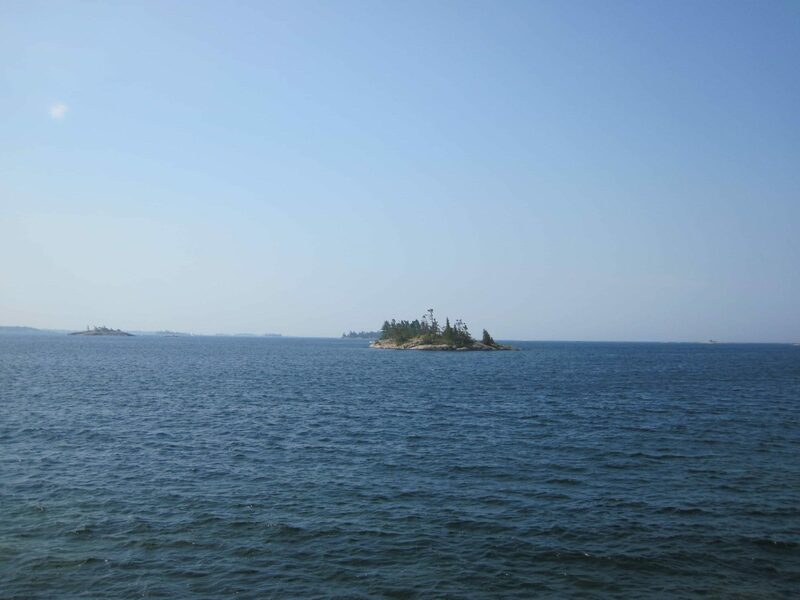 Provided sea conditions are conducive, initial processing of all live-dead samples will occur offshore to ensure adequate sample sizes of live and dead specimens are achieved. Individuals that are prone to motion sickness will likely find these fieldwork conditions challenging. All participants are strongly encouraged to take non-drowsy anti-motion sickness medicine on the days spent offshore to minimize their own discomfort which can impact their experiences and research by the group. Prior boating experience is a plus but is not a requirement. Summer conditions in the Gulf are hot and humid and everyone will need to dress appropriately to minimize sun burn (lots of sun block and a sun hat!) and need to stay hydrated. The research vessels that we will use are outfitted with safety equipment in case of emergency and participants will receive safety instructions by the vessel crew prior to leaving the shore. Cell phone service is generally unavailable offshore however ships are equipped with communication devices in case of emergency. Recommended Courses/Prerequisites: Participants should have taken a course in paleontology and/or historical geology. Recommended, but not required courses, include marine science, sedimentology and stratigraphy, introduction to ecology and evolution, and statistics.